Mary Andrews College and ADM* stand on a legacy of inspiring women – one of whom is Mary Andrews herself. This courageous pioneer sets an example for women of faith today, writes Hayley Lukabyo. God has used many faithful women to do great works in his name. One example is Mary Andrews. She lived out her faith by helping other women to flourish in Kingdom work, as well as ministering to and caring for the gospel-poor and the disadvantaged. Throughout her life, there was a verse that guided and inspired Mary – Galatians 2:20: “I have been crucified with Christ and I no longer live, but Christ lives in me. The life I now live in the body, I live by faith in the Son of God, who loved me and gave himself for me.” Living by faith in Jesus led her to serve in dangerous and challenging places; to become a champion for the marginalised; and to be a fearless Bible teacher. Mary was born in 1915 in the small town of Cooma in NSW. Her father was a grazier, and her mother had always hoped to be a missionary. As her mother saw that it was God’s will for her to remain in Australia, she prayed that somebody else in her own family would become a missionary. Mary became a Christian as a little girl. Reading through the Bible when she was 10 years old, she wept at the injustice of Jesus’ crucifixion and at the realisation that she shared responsibility for his death. This led her to pray for forgiveness and, in thankfulness, she committed her life to Jesus – a commitment that she honoured for the rest of her life. As a teenager, Mary heard the voice of God say to her, “China, China, China”. In response, Mary said to God, “From this day, I yield the control of my life to you. 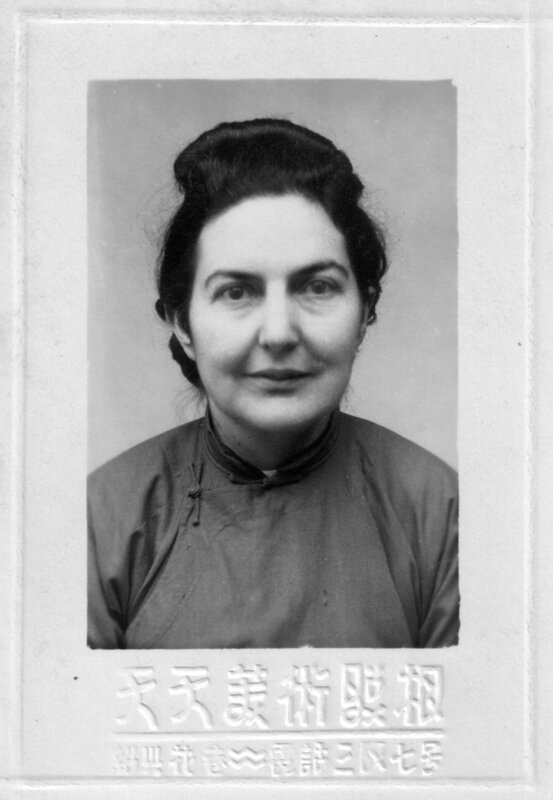 I am willing to be obedient, even if it means going to China.” After she finished school, Mary trained at Gladesville Psychiatric Hospital and then studied at Sydney Missionary and Bible Training College. Afterwards, she studied at Deaconess House, beginning a long-lasting relationship with the institution. Mary spent time working among the poor, the sick and those who had suffered great injustice. She fought hard against what she called the “powers of darkness” around her. This impulse to work selflessly for the gospel continued when Mary felt the call of God to mission work in China in 1937. Despite her fears of going to China on her own as the threat of World War II loomed, and the dangers and obstacles that she knew that she may face, Mary was convinced that to fulfil the will of God, she must go. She was comforted by the knowledge that she was “in the centre of the circle and will of God”. Mary was sure that God had sent her to China to share her experience of God’s transcendent grace with the war-torn country, and that God would protect her and provide for her as she endeavoured to do his will. While in China, she taught Sunday school and English Bible classes, ran home evangelistic meetings and made hospital visits. She also taught at short-term Bible schools. Mary died in 1996. She leaves behind for Mary Andrews College and ADM a powerful legacy of what it looks like to be a courageous Christian woman, unafraid to boldly answer the call of God to fight injustice and help women flourish in Kingdom work, regardless of the personal cost. She has inspired Christian women for generations to use their gifts to serve God’s Kingdom, and her story continues to do so today. All quotes taken from Going it Alone, by Margaret Yarwood Lamb.